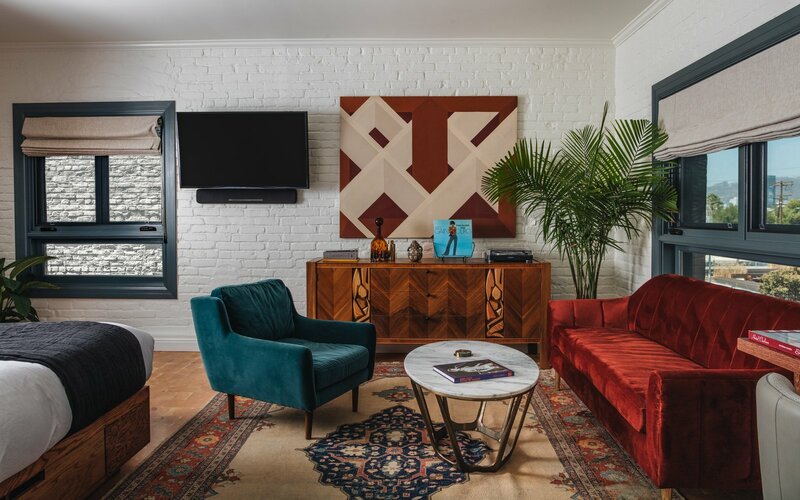 Once a soundstage for director Ed Wood, a rehearsal space for Guns N’ Roses, and a bikini bar, East Hollywood hub Gold Diggers has been reinvented as a boutique hotel, bar, and recording studio. The site for Gold Diggers has a storied past. The main building was originally built as an “Inn Above a Tavern” in 1924, on Santa Monica Boulevard—aka Route 66. In the 1950s, a 6000-square-foot annex behind the bar served as director Ed Wood’s soundstage, in which he filmed Plan 9 from Outer Space. The ensuing years saw it as a rehearsal destination for all types of bands, including an early incarnation of Guns N’ Roses. 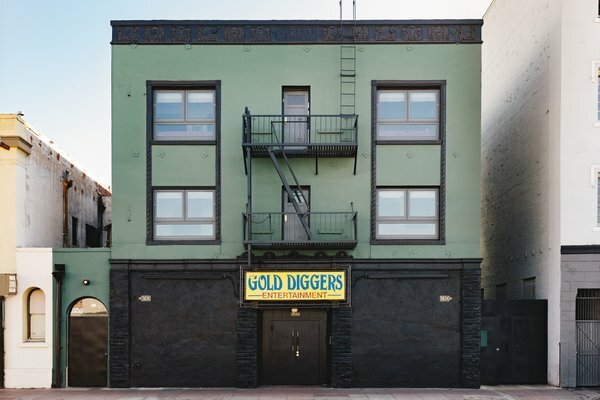 In a nod to its history, much of the exterior of Gold Diggers was kept intact, including the vintage signage. Led by architect David Wick of Wick Architecture & Design and Tiffany Howell of Night Palm Studio, the renovations finished in 2018, taking music as the main inspiration. Let’s take a tour of the rock-inflected spaces. 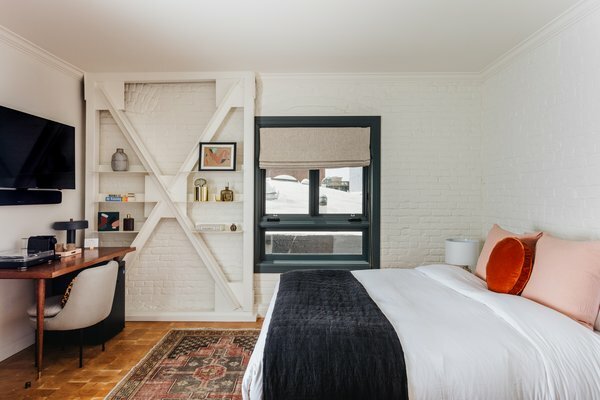 The boutique hotel has 11 rooms, each of which contains mattresses from 2920 Sleep and Parachute linens. 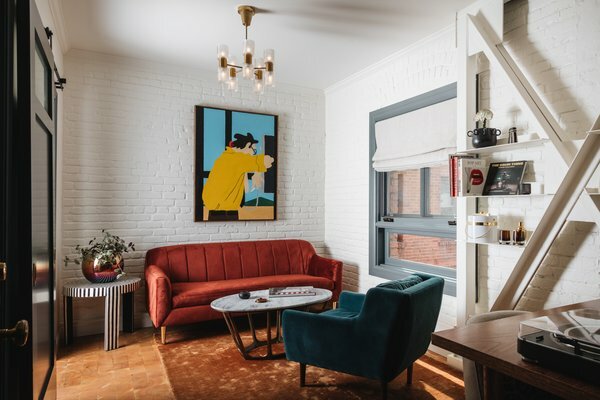 The design team sought to make rooms feel more like apartments, and so included reading nooks and hangout spots throughout, mixing jewel-toned furnishings with vintage finds and rock-and-roll ephemera.